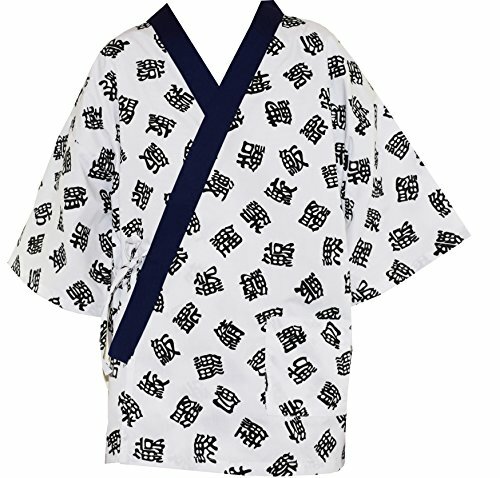 L size sushi uniform with black character printed on white. Armpit to Armpit: 23"; 32" long. A black headband was included. Funky and cool designs Two set of waist straps are adjustable. L size sushi uniform with black character printed on white. Armpit to Armpit: 23"; 32" long.